The defendant said he had had three or four pints at a family Christening. A suspected drink-driver failed to give a police station breath test after a Christening, but had no medical excuse, a court heard. Dad-of-one Anthony Fitzpatrick (34) was caught on Skipton Road in Colne because he was in his works van which had been reported stolen. It had been found, the police had been informed, and an officer who decided to make a check on it thought Fitzpatrick smelled of alcohol. 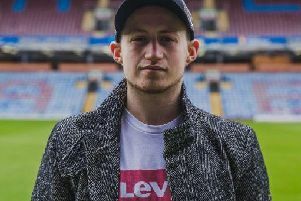 Burnley magistrates were told how ground-worker Fitzpatrick was arrested after he blew 85 microgrammes of alcohol in 100 millilitres of breath at the roadside. The legal limit is 35. He had a record for drink driving. The defendant, who formerly had a drink problem, told the probation service he had had three or four pints at a family Christening before he got behind the wheel. Miss Parveen Akhtar, prosecuting, said Fitzpatrick was requested to provide a breath sample at the police station. She continued: "He failed to provide a sample and failed to provide any medical reason as to why." Mr Daniel Frazer, defending Fitzpatrick, said the van, owned by his boss, had been reported as stolen but had been found and recovered. The solicitor continued: "The police officer in this particular case saw the van being driven. He did a PNC check and realised it had been reported stolen and had been reported found again." Mr Frazer said when the defendant was taken into custody, he requested to speak to a solicitor and was refused by the police until the procedure had taken place. The solicitor said: "He was somewhat misguided as he believed he was able to speak to a solicitor before the sample was taken. He can do no more than plead guilty and ask for full credit from the courts." Fitzpatrick, of Union Street in Colne, admitted failing to provide a specimen for analysis and having no insurance on November 4th. He was given a community order with a nine-month alcohol treatment requirement and was told to pay £220 in fines, costs and victim surcharge. The defendant was banned for three years.